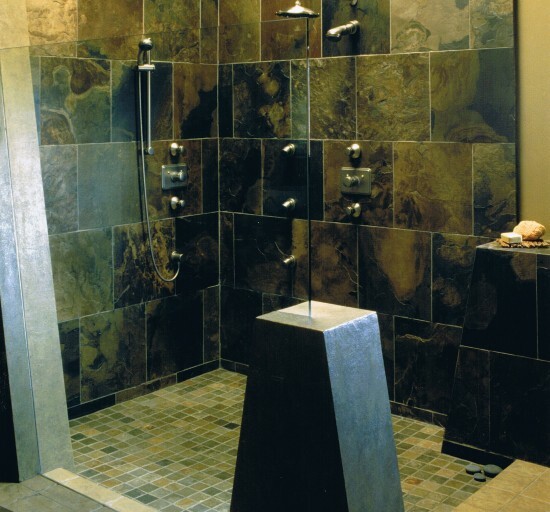 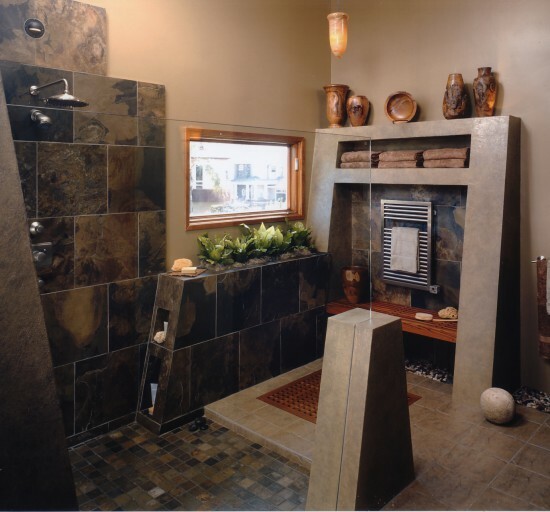 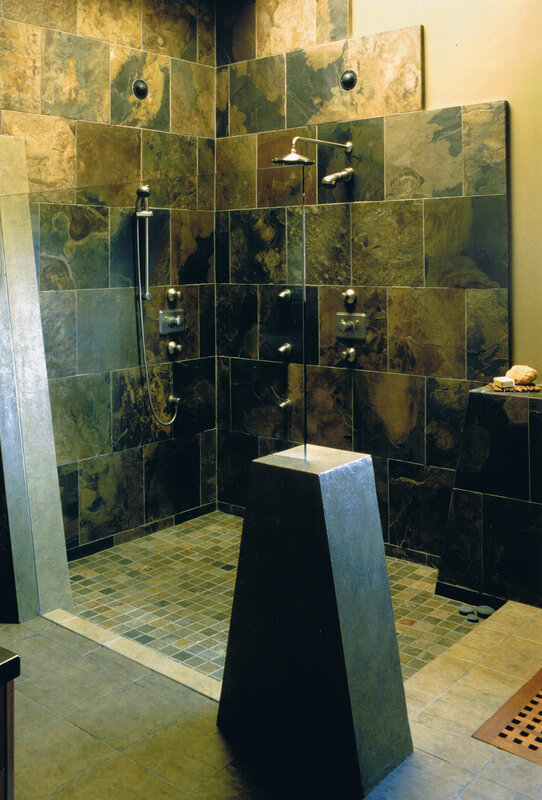 A large open shower is defined by slate walls, a glass partition, and angular concrete columns containing hidden cubbyholes for storing shower supplies. 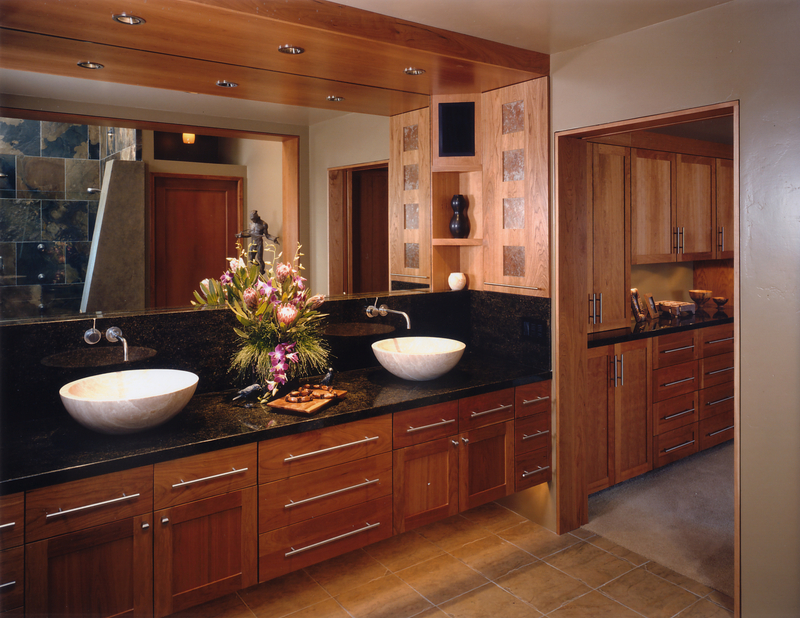 San Diego interior designer Jim Walters incorporated every conceivable luxury into this resort-style home spa. 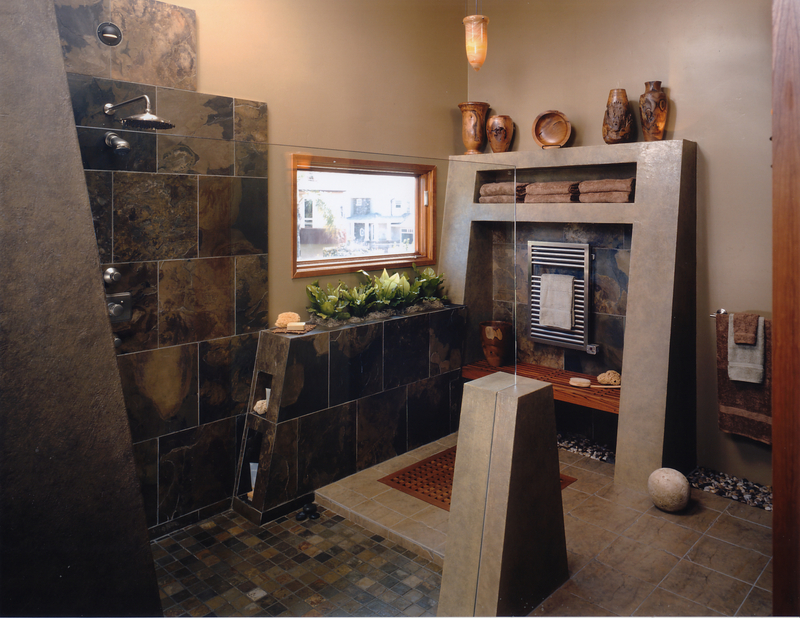 "No, we're not in a tony $500-a-day spa on Rodeo Drive. 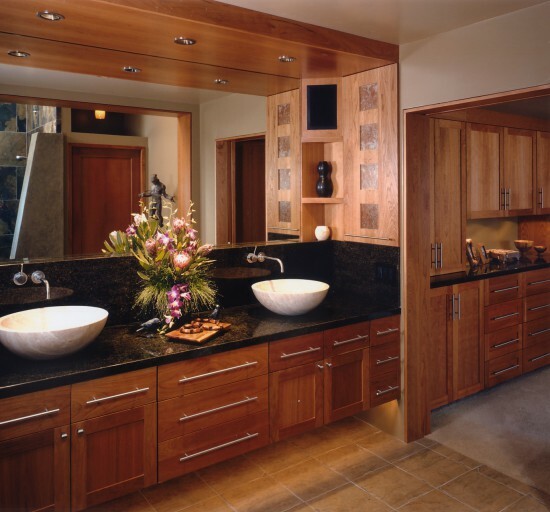 It's the master bathroom suite interior designer James Patrick Walters designed in a cliff-top home in coastal north County."